Sunrise Children’s Hospital announces a new partnership with Walker Charities and their Pads for Pēds program to bring Apple iPad® “Lending Libraries” and digital entertainment tools to Las Vegas pediatric patients. A philanthropic organization that is assisting children in hospitals across the nation, the library comprises computer tablets with protective cases and charging stations that pediatric patients may use during their hospital stay. Recently, the Pads for Pēds collaboration with Sunrise Children’s Hospital brought two new Apple iPad® ‘Lending Libraries’ to pediatric patients. The new computing gear includes ten tablets, cases and charging stations. The partnership supplies a pipeline of donations to Sunrise Children’s Hospital to aid in offering comfort, diversion and education for young patients. The organizations intend to work together in the coming years to bring additional tools to Sunrise Children’s Hospital to aid in their joint goals. Pads for Pēds was born from a Walker experience that provided a single Apple iPad® to an ailing boy in Masonic Children’s Hospital at the University of Minnesota. Founders Brian and Diane Walker felt strongly that many more children and families could be touched through use of these amazing devices, so they sought to find ways to collaborate with great children’s hospitals across the country. To date, Pads for Pēds has delivered more than 125 tablets and related support equipment to their partner hospitals, now including Sunrise Children’s Hospital. Tablets and digital gaming devices give patients distraction from their pain. Studies have shown Apple iPad® and other electronic devices help patients retain focus so that anxiety is often reduced. These studies found comparable anxiety reduction with the use of Midazolam, a common sedative. In addition to distraction and entertainment, Apple iPad® can be used for health education of patients and family and provide children the opportunity to connect via video chat and messaging. Partner hospitals are also finding even more ways to improve patient experiences with these emerging technologies. Benefitting hospitals include Children’s Mercy in Kansas City, Children’s Minneapolis, Portland Shriner’s, Cincinnati Children’s Hospital, Phoenix Children’s Hospital and the Mayo Clinic Children’s Center. Pads for Pēds is preparing to add additional children’s hospital partnerships during 2019. Since inception, all foundation funding has been privately provided. The group now seeks new corporate sponsorships and additional private donations. Charity updates and paths to donations can be found on Facebook at www.facebook.com/padsforpeds or on their website at www.padsforpeds.org. As more and more attention is drawn to palliative care in America, The Elaine P. Wynn & Family Foundation (EPWFF) continues to be a leader in supporting services for those dealing with chronic illness with a generous donation of $568,000 to Nathan Adelson Hospice’s Elaine Wynn Palliative Care Program (EWPCP). Now celebrating its 40th anniversary of providing care to Southern Nevada, Nathan Adelson Hospice is an industry leader in palliative care and its principles. The EWPCP was founded in 2007, and has helped an estimated 16,000-plus individuals both at home and in facilities. The goal of the EWPCP is to improve the quality of life for patients and their family members facing the debilitating physical, emotional, and social issues associated with an advanced illness. This program provides a unique and innovative interdisciplinary approach to care coordination across settings. Only months after former First Lady Barbara Bush brought attention to her own situation by choosing to seek palliative care after her terminal diagnosis, palliative care and its benefits have begun to be topics among the general public. Nathan Adelson Hospice, Southern Nevada’s largest non-profit hospice, today announced an exclusive $100,000 sponsorship donation from William T. and Susan Walters for this year’s “Serenades of Life – Doctors in Concert” fundraiser. The annual event, being held Oct. 20 at The Smith Center, will feature various musical performances, including from those in the local medical community. The fundraiser raises both awareness and monies for the Bonnie Schreck Memorial Complementary Therapies Program at Nathan Adelson Hospice. In 1988, William or Billy T. Walters founded The Walters Group, a Las Vegas-based holding company. He was named one of In Business Las Vegas’ “20 Most Influential Men” and was a 2013 inductee of the Las Vegas Golf Hall of Fame. His donation will help fund the Serenades of Life event, which supports the hospice’s Bonnie Schreck Memorial Complementary Therapies program. This program improves the quality of life for the hospice’s patients and loved ones, and eases emotional and physical discomfort. Patients and their loved ones may request various therapies such as Pet Therapy, Reiki Energy Work, Massage Therapy, Art Therapy, Reflexology, and Aromatherapy. For more information on tickets and sponsorships, call Stephanie Forbes at Nathan Adelson Hospice at 702-938-3910. 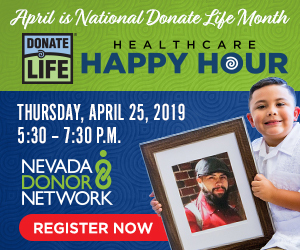 Nathan Adelson Hospice, the trusted partner in hospice care and palliative medicine for almost 40 years, is the largest non-profit hospice in Southern Nevada, caring for an average of 400 hospice and palliative care patients daily. In 1978, Nathan Adelson Hospice began providing home care hospice service in Southern Nevada with the mission to offer patients and their loved ones with comprehensive end-of-life care and influence better care for all in the community. In 1983 Nathan Adelson Hospice opened an in-patient hospice in Las Vegas, and today the hospice is recognized as a national model for superior hospice care. The mission of the hospice is to be the Hospice of Choice, the Employer of Preference and a Training Center of Excellence for comprehensive end of life care. Its vision is simple: no one should end the journey of life alone, afraid or in pain. Nathan Adelson Hospice, Southern Nevada’s largest non-profit hospice, announced it has received an anonymous $5 million donation for its uncompensated programs and services. Irwin Molasky, founder of Nathan Adelson Hospice, noted that the hospice never turns away patients, regardless of their ability to pay for care. Nathan Adelson Hospice has provided approximately $30million in uncompensated care to patients and their family members in the community. The hospice has provided comprehensive hospice care and supportive services to 71,000 patients since 1978. Nathan Adelson Hospice, the trusted partner in hospice care and palliative medicine for almost 40 years, is the largest non-profit hospice in Southern Nevada, caring for an average of 400 hospice and palliative care patients daily. In 1978, Nathan Adelson Hospice began providing home care hospice service in Southern Nevada with the mission to offer patients and their loved ones with comprehensive end-of-life care and influence better care for all in the community. In 1983, Nathan Adelson Hospice opened an in-patient hospice in Las Vegas, and today the hospice is recognized as a national model for superior hospice care. The mission of the hospice is to be the Hospice of Choice, the Employer of Preference and a Training Center of Excellence for comprehensive end of life care. Its vision is simple: no one should end the journey of life alone, afraid or in pain. Blossom Bariatrics Founder and CEO Dr. Tom Umbach and CFO Holly Umbach donate $20,000 to Las Vegas Metro Police Department Foundation. The Friends of Las Vegas Metropolitan Police Department Foundation was established in 1999 and is dedicated to supporting programs that help keep our community safer. Programs that prevent crime, save lives and make our County a safer place to live, work and play. The foundation exists to provide critical financial resources for innovative LVMPD programs that invest in making Las Vegas safer to live and visit. Blossom Bariatrics is a surgical weight loss center located in Las Vegas, Nevada. Award winning board certified surgeon Dr. Thomas Umbach is recognized by Newsweek as one of the “Nation’s Leading Bariatric Surgeons” and by The New Economy as one of the “Best Healthcare Consultants,” and is a leader in the bariatric specialty. Dr. Tom is dedicated to helping individuals improve their health, and live more fulfilling lives by losing their excess weight. His weight loss surgery practice specializes in both advanced and traditional laparoscopic procedures. Visit http://www.blossombariatrics.com for more information. Our board certified bariatric surgeons, Dr. Tom and Dr. Matt offer over 20 years combined experience. They are both passionate about helping you blossom into your happiest, healthiest self! Delta Dental Insurance Company announced today that it has awarded Volunteers in Medicine of Southern Nevada (VMSN) a $10,000 grant to help improve access to oral health. The grant, awarded by the company’s Delta Dental Community Care Foundation, is one of several given in the state to help improve the oral health of underserved children and adults, particularly in rural locations where access to dental care may be limited. Launched in 2011, the foundation has given a total of $9.5 million in grants in several states, including more than $250,000 in Nevada. LAS VEGAS – May 10, 2016 – Amerigroup Nevada President Eric Lloyd presented UNLV School of Medicine Founding Dean Dr. Barbara Atkinson, with a $15,000 gift to improve access to health care services at several Clark County School District school-based health care centers (SBHCs). “We know that when children don’t receive regular access to care, their health often suffers, and when they’re sick, it impacts their health and ultimately their ability to be in the classroom learning,” said Lloyd. “This is why Amerigroup Nevada is proud to work with UNLV School of Medicine to enhance its community outreach, clinical and medical education of its future pediatricians to increase access to health care services, such as acute care, well visits and sports physicals for Clark County School District (CCSD) children,” added Lloyd. Currently, there are about a dozen SBHCs in the Clark County that offer a range of services for low- income and underserved children, such as primary and preventive medical screenings, immunizations, sports physicals and treatments for common illnesses and minor injuries. The University of Nevada School of Medicine (UNSOM) Department of Pediatrics currently staffs four of these clinics with residents who are training to become pediatricians under faculty supervision. In July 2017, the UNSOM Department of Pediatrics in Las Vegas and its residency program, will transition to UNLV School of Medicine. This unique partnership provides Clark County’ students access to quality health care services, from UNSOM and soon — UNLV School of Medicine’s future physicians. CCSD SBHC’s are typically located at schools located in communities that have been impacted by economic challenges. SBHCs reduce barriers to care for students by facilitating access to sports physicals and wellness exams, which provide preventative care and keep them from going without treatment for common health problems. working with primary care physicians or helping children get connected to the care they need. “We want to be proactive, not reactive with our children’s health care,” emphasized Dr. Green. Amerigroup Nevada helps improve health care access and quality for approximately 185,000 low- income Nevadans by developing innovative care management programs and services. Members are assured care that is not only accessible, but also accountable, comprehensive, integrated and patient- centered. Amerigroup Nevada provides ongoing community relations and outreach to encourage members to become active participants in their health care. Through health education programs, members are empowered to choose and sustain a healthy lifestyle. Mary Guinan’s passion for public health has produced a global impact—but her journey wouldn’t have been possible without the generosity of others. Not only was Guinan on the World Health Organization team that helped eradicate smallpox from Northern India, she was a key scientist working to identify emerging AIDS cases in the 1980s. She was both the first woman to serve as chief scientific advisor to the director of the Centers for Disease Control and Prevention and the first woman to serve as Nevada’s state health officer. As the founding dean of UNLV’s School of Community Health Sciences, Dr. Guinan has created a strong foundation for the state’s future public health needs. But in order to jump-start her career, Guinan had to work through high school and college, and make use of scholarships throughout her education at City University of New York, University of Texas and Johns Hopkins. “I didn’t come from a family of great resources. I was the middle of five children, my father died young and I had two younger siblings to help take care of,” she says. Guinan has made a habit of giving back to each of her alma maters and UNLV annually. Some of her recent gifts to UNLV include an endowed scholarship and paid internship stipend for the School Community Health Sciences. Guinan also established a planned gift in her will that will endow a chair of epidemiology at the School of Community Health Sciences. Now, Guinan keeps busy—for one, she’s working on a memoir entitled The Adventures of a Female Medical Detective which is due to be released in 2016. Despite travels, speaking engagements, and a pre-launch book tour, she continues to serve as a tireless advocate for UNLV and the school she founded in both action and the written word. But even for busy individuals like Dr. Guinan, the gift-planning process couldn’t be any simpler. And it will set up a long-lasting legacy for the university. 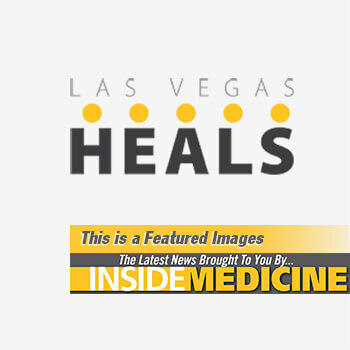 In support of enhancing medical education in Southern Nevada and beyond, the NV Energy Foundation and Cleveland Clinic Lou Ruvo Center for Brain Health have teamed up to create the NV Energy Chair for Brain Health Education. A five-year, $1.25 million grant from NV Energy Foundation will fund the chair and help the clinic to advance its efforts to improve the quality of education for Nevada’s current and future health-care professionals. Read more at the Las Vegas Sun.